Chopta, also known as “Mini Switzerland” of Uttarakhand, is becoming popular among trekking and adventure enthusiasts since last few years. Chopta hill station is situated in the Rudraprayag District of Uttarakhand state at an located at an altitude of 2600 mts above sea level amidst dense forest. 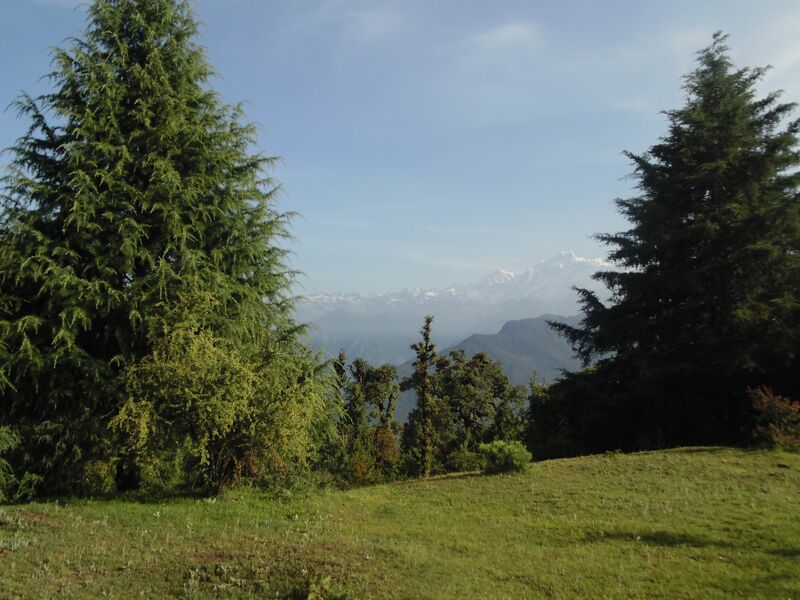 Enchanting views of the Himalayas is visible from Chopta. Chopta is the initiation point of the trek to famous Tungnath Mandir (one of the Panch-Kedars) and summit Chandrashila. The region is rich in varied flora and fauna, with plenty of Rhododendron and deodar trees all around. 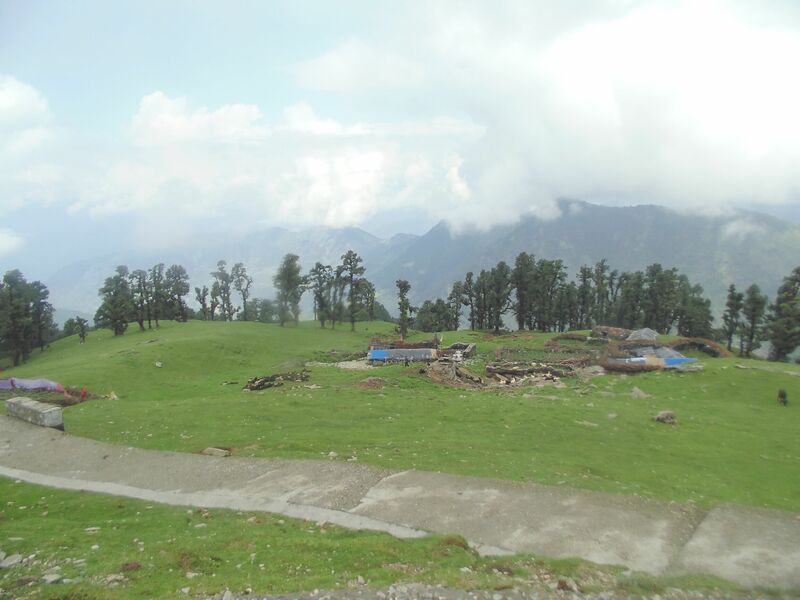 The Chopta – Tungnath – Chandrashila trek is a famous destinations for trekkers. 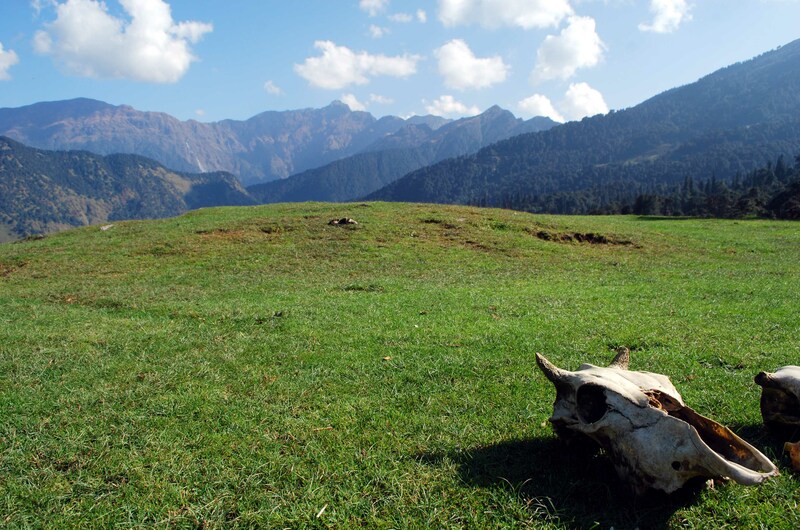 The Chopta region has many treks and trails cutting through jungles and grasslands. 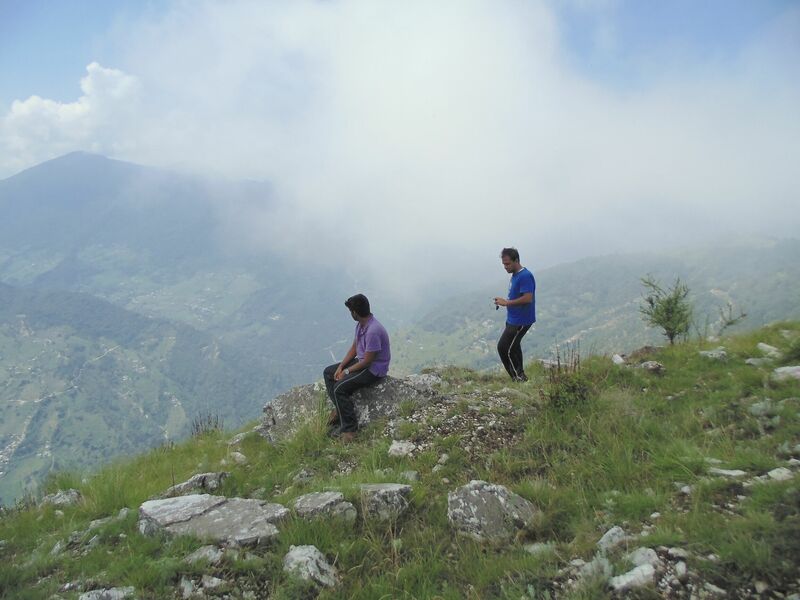 Chandrashilla, Tunganath and Devariyatal are the best known trekking routes in the Chopta region. Because of an abundance of birds, Chopta is becoming popular among birdwatchers. How to Reach Rishikesh by Road : You can check availability & book seats in Volvo or Ordinary buses between Delhi & Rishikesh on Uttrakhand Roadways Website. OR, if you have a bigger group (minimum 12 pax) then we can arrange mini coach from Delhi to Delhi on actual cost. Drive to Sari village from Rishikesh. Trek to Deoriatal Campsite. Report 7 AM at Rishikesh Bus Stand. We will drive to Sari village (Starting point of our Deoriatal – Chopta – Chandrashila Summit trek). Reach Sari Village by 2-3 PM after a drive of approx 191 kms. and begin trek to Deoriatal. After a uphill trek of 2 kms we will arrive at our first base Deorital Campsite. 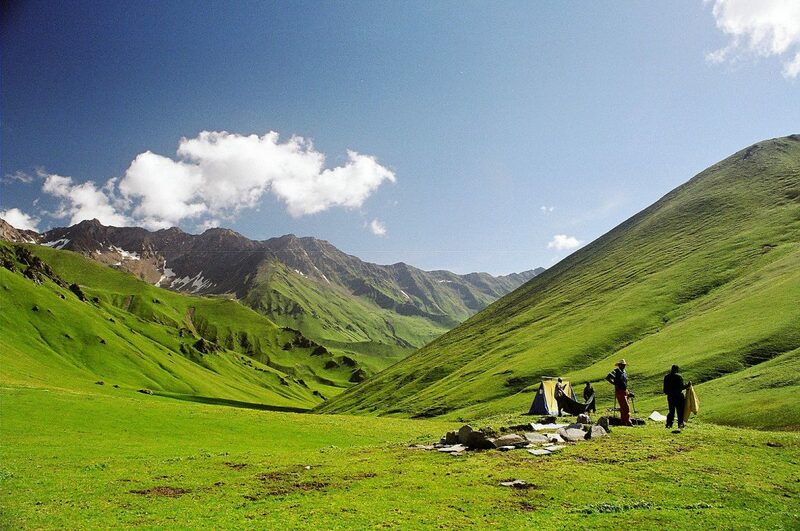 Setup tents and gear up for exploring the breath taking views of snow capped mountain ranges. Evening at leisure. 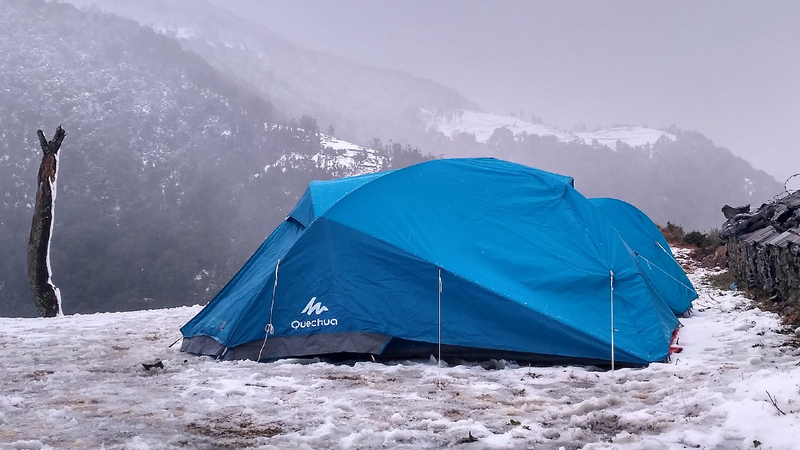 Trek to Chopta – 2nd base camp of our Chandrashila Summit Expedition. Freshen up and enjoy the healthy breakfast and gear up for our second trek to Chopta. Today is going to be a long day for us. Though, the trail to Chopta is mostly moderate, but the climbs are stretched out. After leaving our Deoriatal campsite we enter into the world of woods. Enroute enjoy the breathtaking views of snow capped mountains, valley and forest area while you walk with ease for first 2-3 Kms. Be ready for a hard & steep climb after wards and after all your hard effort you reach to the second highest point of the day – The Jhandi top. The views from this altitude will make you realize, it was worth your hard efforts. Look down south west to see all new view of beautiful Sari village. Yes! You guessed it right. It was our starting point for Deoriatal. After taking some rest, we will proceed further and enter into Rhododendron forest. The trail ahead is a down steep. After a few steep descent patches, the trail goes again into the east. Here you will be introduced to the beautiful Kedarnath range on to your left, while the magnificent Chaukhamba peak can be pointed at your right. This is the time when you will find yourself in the thick dense forest where even Sunlight has to work hard to penetrate. We will finally arrive at Rohini Bugyal. 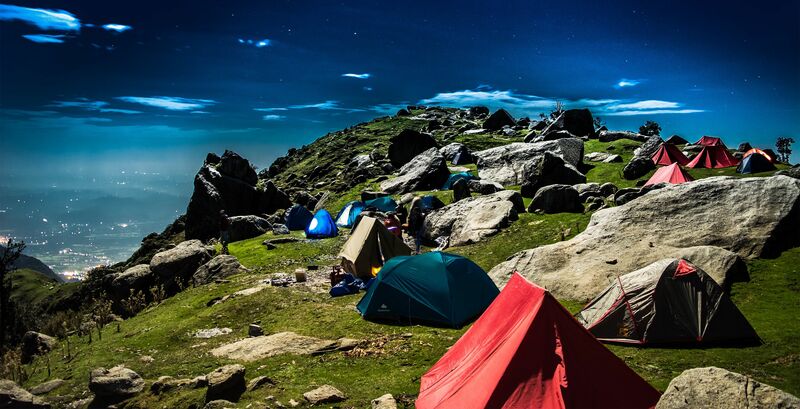 Take a bit rest here and gear up for our final destination of Day 2 Chopta. To reach Chopta from here we now have an easy hike of about 6KM. After crossing grassland, the trail has multiple easy descents and finally we reach at waterfall. Fill up your water bottles here for journey further. It’s a blessing spot since you know there is no water availability from Deoriatal till here. Just after a hike of about an hour from here we reach to a grassland again and voila welcome to Baniya Kund. 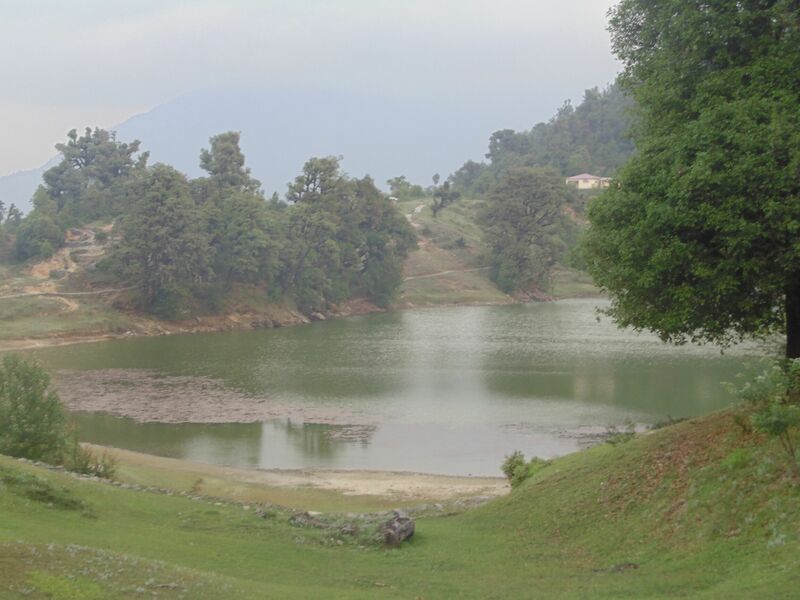 It is a beautiful place just 3 min away from Chopta. We can choose to camp anywhere. Setup Tents here, enjoy evening at leisure. Dinner and overnight in tents. 9 Km.Trek to Chandrashila Summit via Tungnath Temple (Highest of panch kedar temples) and back to Chopta Campsite. Get up early in the morning and experience the sun rise from the peak of Chandrashila Summit. Post breakfast, we will start our last trek to Tungnath Chandrashila Summit. Do carry something handy to eat since the trek is a bit difficult. The trek starts from Chopta taxi stand. 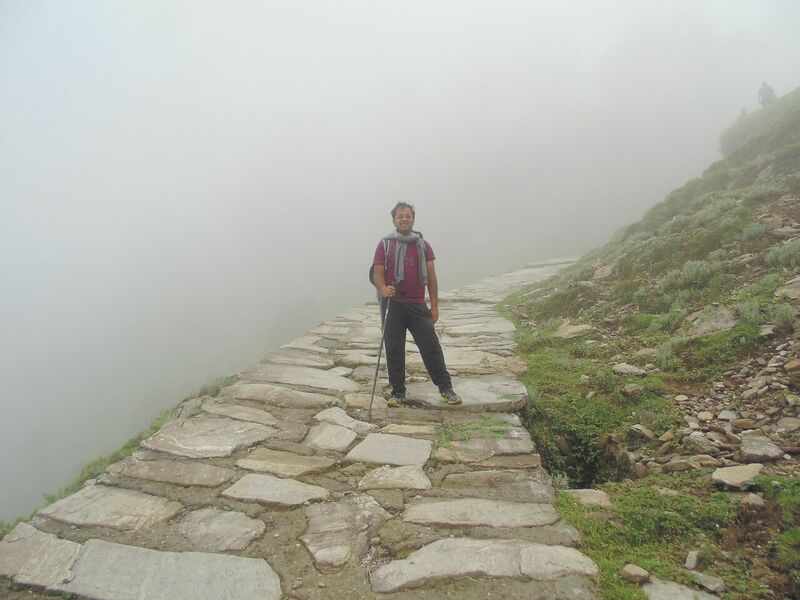 The Tungnath is a well paved trail and we enter from the main gate. The distance to Tungnath temple from here is approx 3.5 Kms and since the climb is pretty steep, thus it will take us somewhere around 2 hours to climb up there. 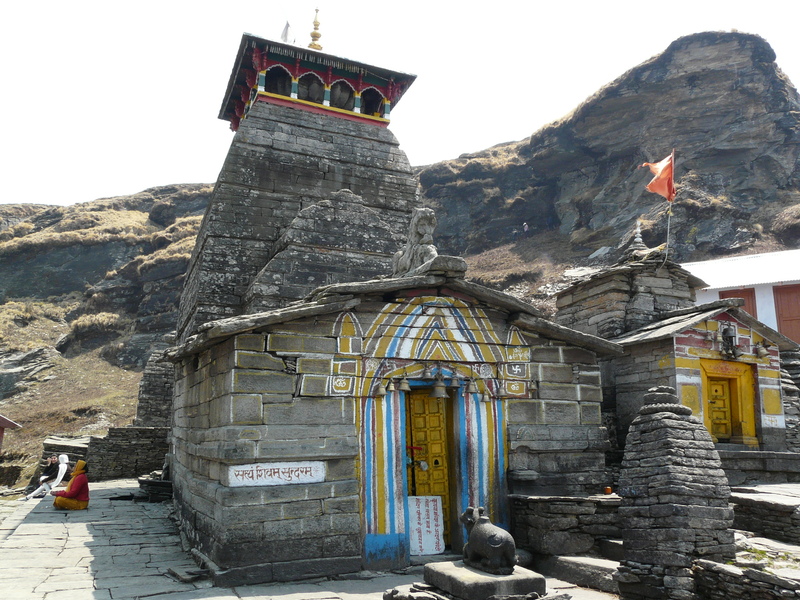 Once we reach the Tungnath Mandir, take time to admire the beauty of architecture of the temple. The mandir was built a millennium ago. From here enjoy the 360 degree view of snow capped mountains and start here for Chandrashilla Summit which forms the backdrop of Tungnath temple. 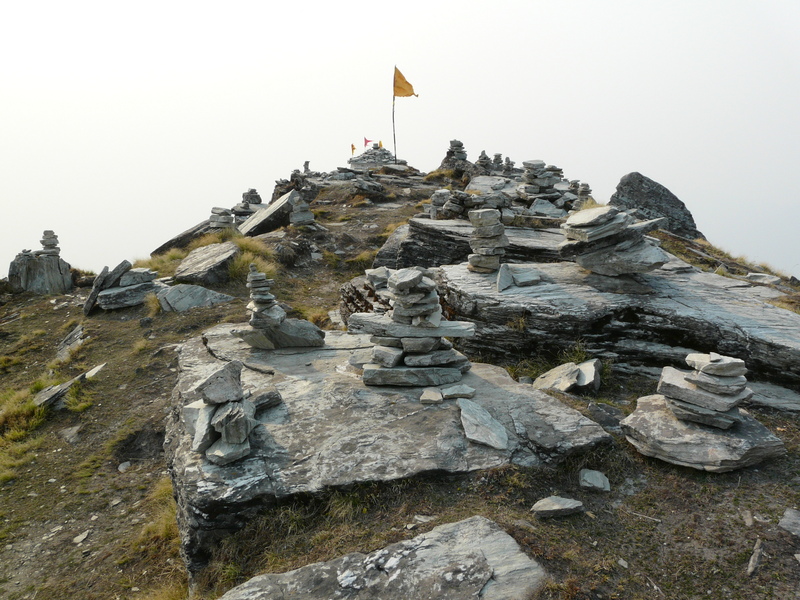 From the Tungnath we would hike up to 1 Km to reach our ultimate stop the Chandrashilla Summit. It will take approx 1 hour to be there. 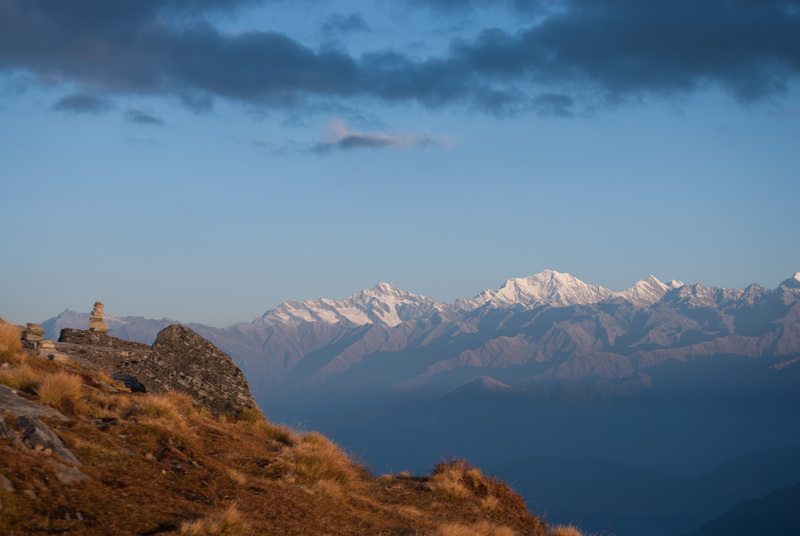 With our packed lunch at hand, we will enjoy the most magnificent views of Chaukhamba peak. 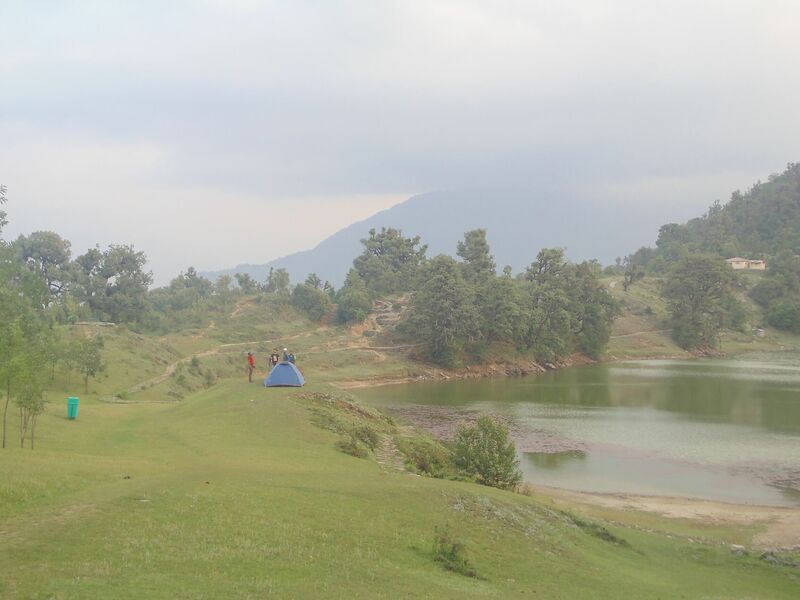 Enjoy the most serene view from there and rejuvenate your soul here before we trek down to our base Chopta campsite. Reach back to Chopta campsite by early evening. Enjoy with friends and family and explore the local villages at leisure. Overnight at camps. Bonus Tip : We will carry a dumping polybag and help clearing the litter at the trail since Tungnath is a popular pilgrimage site. Let’s contribute towards helping save the mother nature and keep the trail clean & beautiful for fellow trekkers. With exotic memories of our trek, we head to Rishikesh for our return journey to home. Get up early in the morning to the sounds of chirping birds. Enjoy that first ray of light falling on the snow covered peaks with hot tea in hands. Freshen up and take the breakfast before we finally bid adieu to our Deoriatal-Chopta-Chandrashilla Summit Trekking Expedition. Post breakfast, we will drive back to Rishikesh. 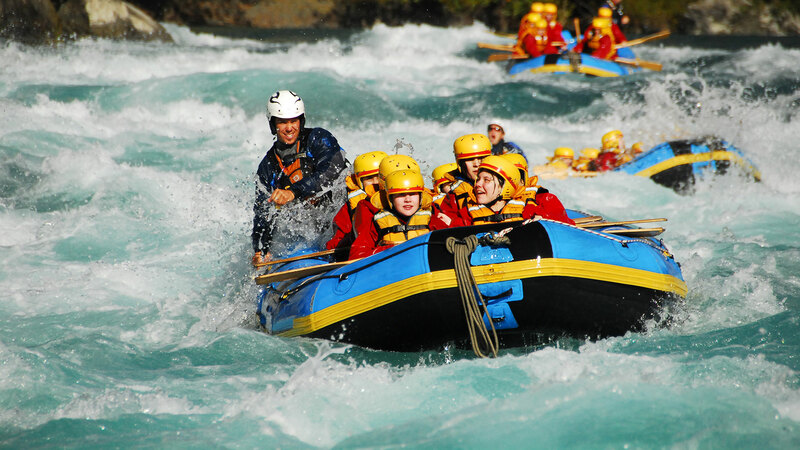 It takes apporx 6-7 hours and a drive of almost 165 kms to reach Rishikesh. Head back home the same night or if you wish to extend your stay, Rishikesh offers wide variety of suitable accommodations of all budgets. I just cant thank enough to team Dezire 2 Ride for making my long weekend fruitful like never before. I was a bit hesitated to take this trek earlier, but my cousin convinced me. I just can’t forget your professional hospitality and expert trek guidance during the entire expedition. One lesson I learnt with you is giving back to the nature. 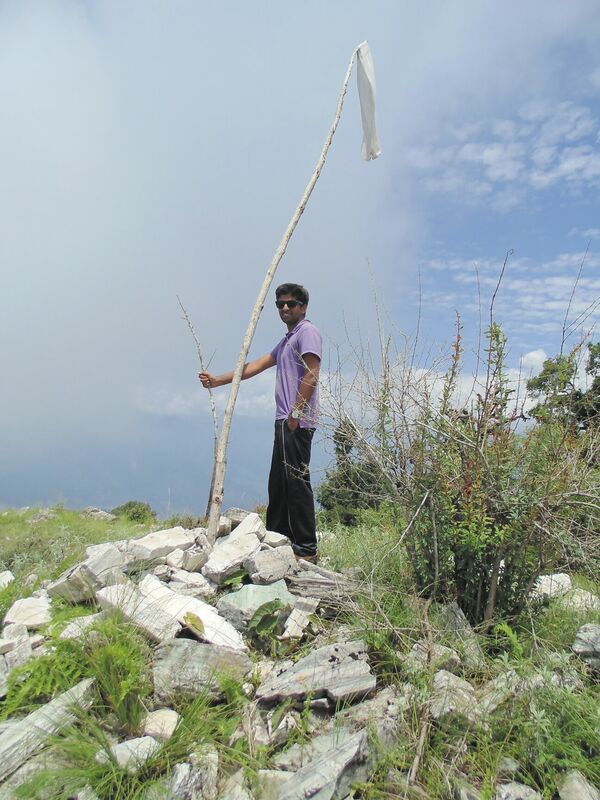 Hats off to your idea of cleaning the Tungnath trail. We carried garbage bags and tried clearing litter from the trail where ever possible. I felt like an responsible traveler and I made a promise to myself to repeat this habit in every adventure trip I undertake. You are more than welcome always. We appreciate your comments and trust it gives us motivation to do more for mother nature. A small effort from our responsible travelers can bring drastic change. We look forward to host you again soon. Cheers!